ZenUI Asus File Manager is the alternative in Share Link for Android versions higher than 6. A great file manager that allows both transfer over the same network and cloud. It allows you to manage files on the PC as if they were present on the file system without requiring additional software installation on your PC, just a web browser. It allows to easily find files that we forgot to have. 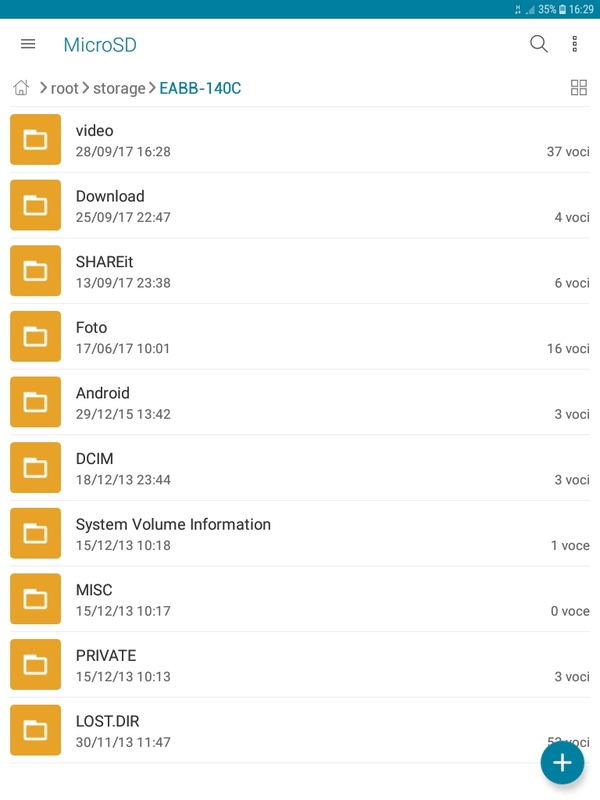 ZenUI Asus File Manager is the alternative to Share Link for owners of Android from version 7 and up. “Share Link does not support Android N or later, as it may cause unexpected errors when used to transfer files”. The message goes on to suggest to download ZenLink and indicating a link to the download. Too bad that the link leads to a nonexistent page and searching for the network this application seems to be no longer available for download. Never mind, making more research i found that the Asus has created a series of applications called ZenUI among which the file manager that i am about to describe. 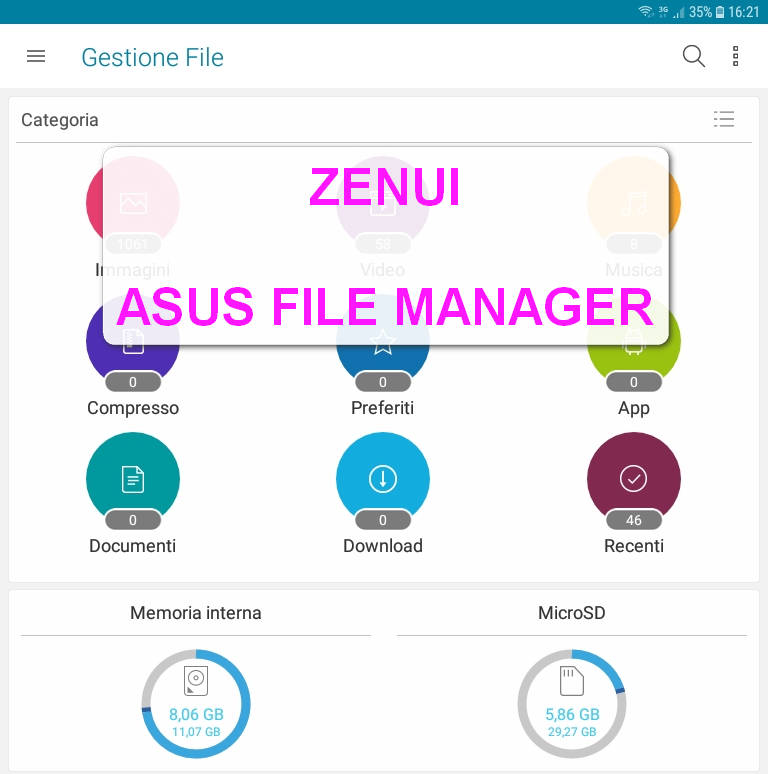 Installing ZenUI Asus File Manager is extremely simple. The application will be installed and ready to use without any special configuration steps. Unlike other management applications and file transfers, Asus File Manager does not require any other applications installed on your PC. The files will be downloaded directly to your desktop or if you prefer, just use a simple browser to browse the files on your Android device. 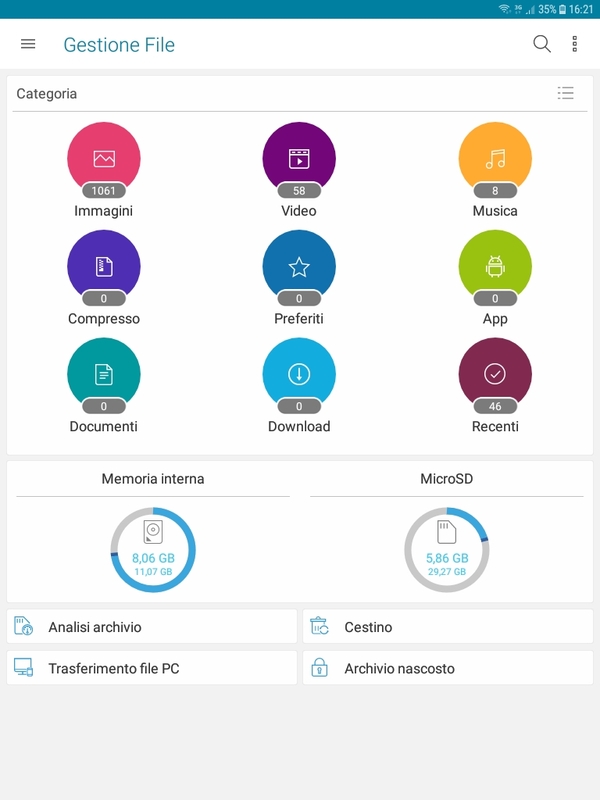 Start Asus File Manager on your Android device. At a glance you have several statistics about the files available to you, organized by type. Images, videos, music, documents, and more. 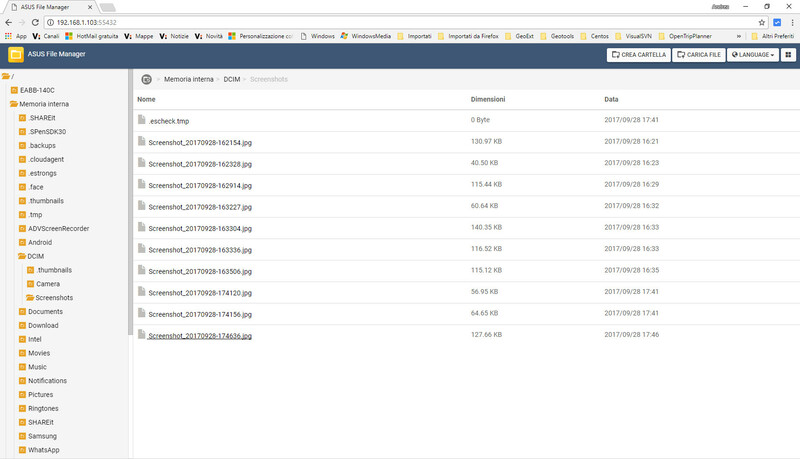 You can select the category you want and view the files in the different folders for that category. Let’s see in detail these, and more, features. It allows you to scan your archive memory to sum up the space occupied by the different file types. In this way, we can understand if there are unwanted files or some type of need to be cleaned. From this section, we can also search for large-sized files, locate them and eventually decide whether to move them to a secondary memory or delete them. It is, in my opinion, the most useful feature of Asus File Manager. 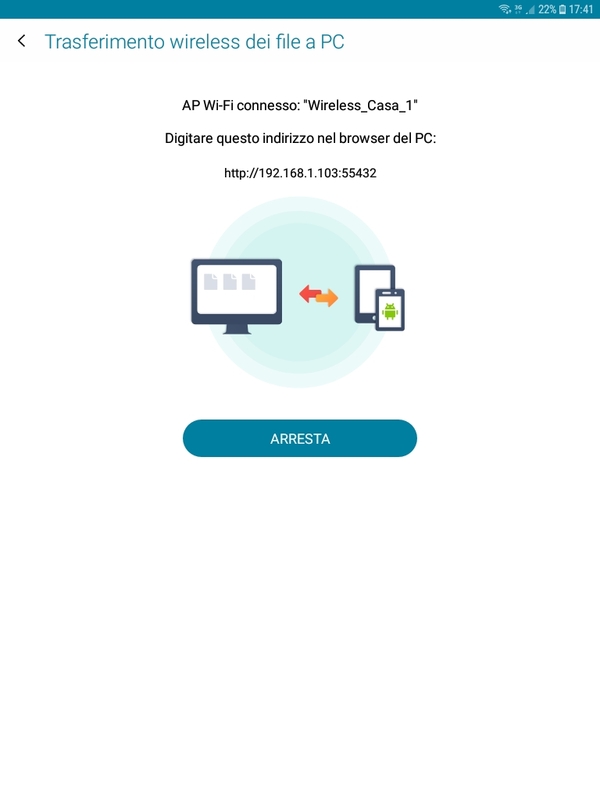 To connect the Android device to the PC is not necessary any physical connection with a USB cable, nor other applications installed on the desktop. For the connection, it is sufficient that the device is in the same network as the PC from which you want to connect. 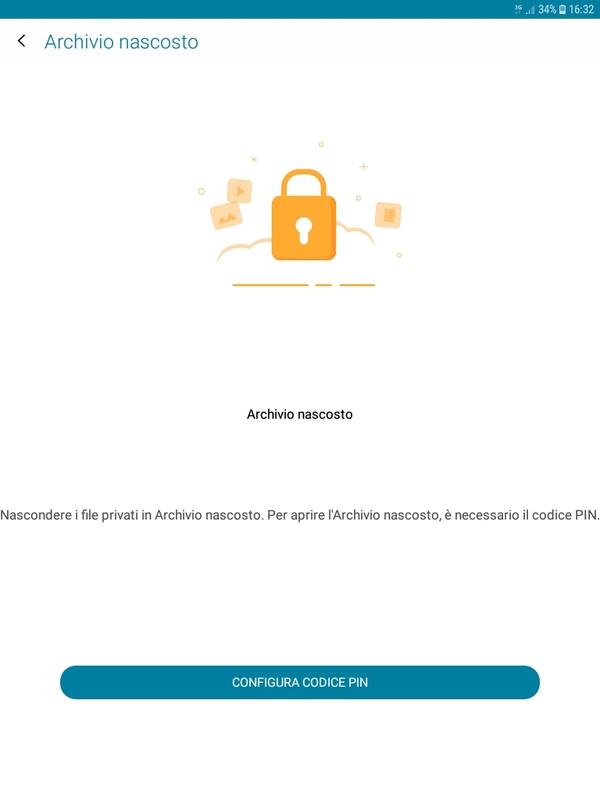 Just launched, the app will display a screen indicating the address to use to access the contents of your device from your PC. By inserting this address in your favorite browser, you will be shown a file manager where you can browse and manage files on your device. Browsing the various folders you can download files by simply clicking on them. Asus File Manager allows you to protect your data by putting at your disposal the possibility of a hidden archive. In this section you can load files of particular importance, protecting them with a password. 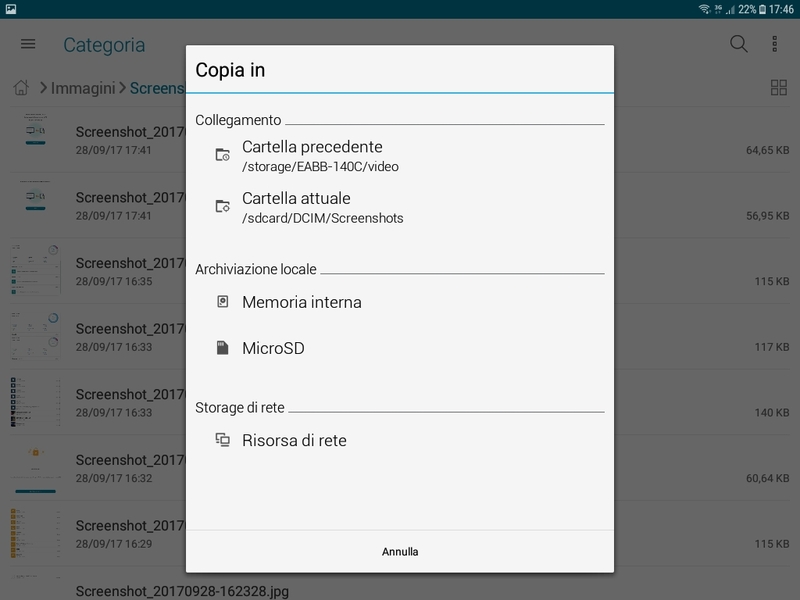 On Asus File Manager, in addition to the transmission of files from your Android device to your PC, you can also copy or move between different folders on the device. or send them to Cloud. In the latter case, we’ll have to configure the Cloud access account beforehand. With this tool, we can handle different Cloud types with a single application, thus avoiding installing dozens of applications on your device. Asus File Manager is an excellent application for the management and file transfer. Its strength lies in the simplicity and not having the obligation of having to download additional applications to transfer the files to your desktop PC. 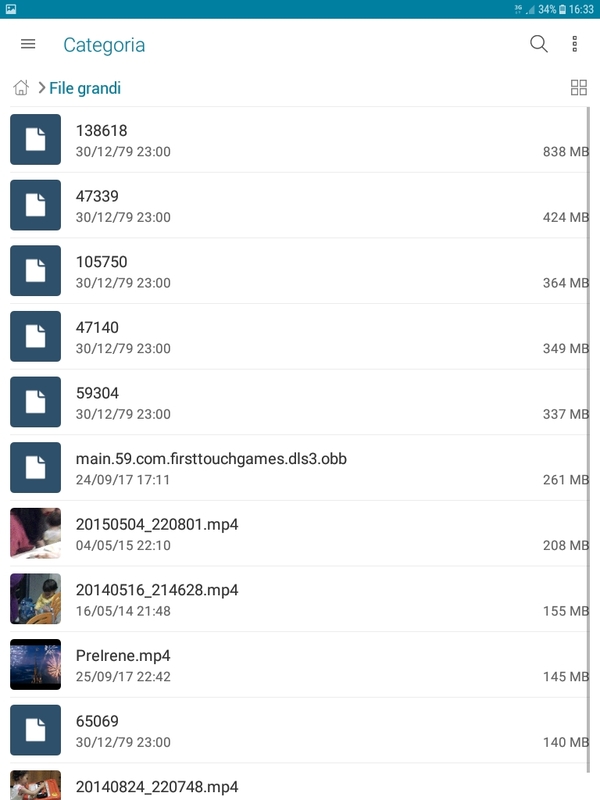 it has less functionality, which makes it lose some points, but has all that it needs to a file manager. 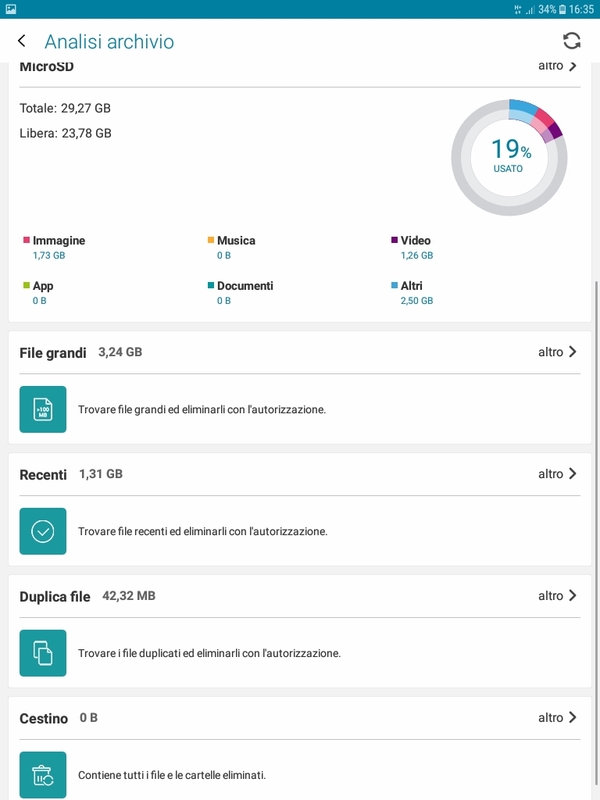 So if you are not looking for an application that in addition to being a file manager, it has other advanced file sharing capabilities, Asus File Manager will satisfy you 100%. If you found the article useful, share it with your friends and subscribe to one of my pages on your favorite social network or on my Youtube channel.